Variety Crab Kaiseki and Beef Steak Dinner Plan. Variety crab Kaiseki plan with boiled crab, crab sashimi, grilled crab, one portion of crab hot pot, crab Kamameshi and beef steak. This is a plan that is with many favorable feedbacks. Dinner is served at the dining "San" which offers a wide variety of alcohols (more than 20 kinds) such as local sake, wine, shochu. 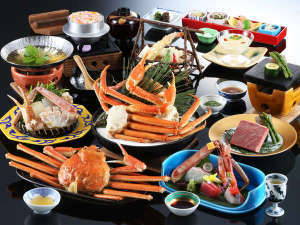 -Dinner Menu- Aperitif, Crab and fish sashimi (5 kinds), Beef steak, Grilled crab (half), Crab tempura, Crab shabu-shabu, Boiled crab (a whole portion), Crab kamameshi (rice dish), Japanese pickles, Soup, Fruit jelly. -Breakfast Menu- All-you-can-eat style breakfast featuring mainly Japanese dishes using locally grown vegetables and other ingredients. And also home-made rice flour bread and jam. 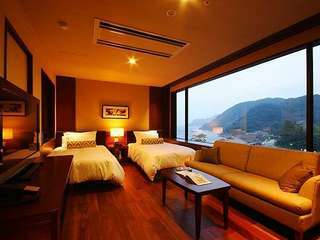 * Menu is subject to change to Japanese style set menu depend on condition of business. Thank you for your understanding. -SPECIAL- Half price for admission to the Kinosaki Marine World (aquariums). Adult JPN 2,470yen to 1,200yen. The ticket can be used from the day you arrive to your departure day. Once you enter it, you can re-enter anytime you like. 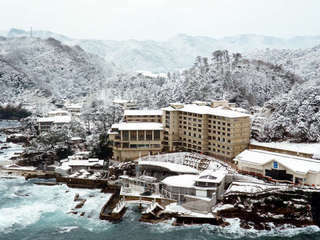 Moreover, guests staying more than two nights receive a free admission ticket for the Kinosaki Marine World (aquariums). -NOTE- -With this plan, Canadian or Alaska froze crabs are used. -The dinner menu listed above is partly changed. 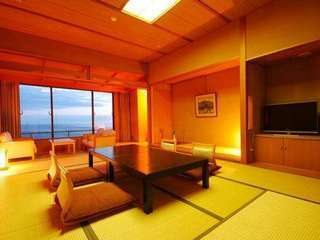 -For group of guests more than 7 people, we might arrange a separated dining room. -If you are with a child (children) under 3 years old, please let us know in advance. 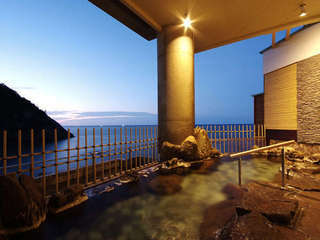 (No charge for children under 3 years old) - Hot spring tax per person/night (adults only, JPY150) will be charged.